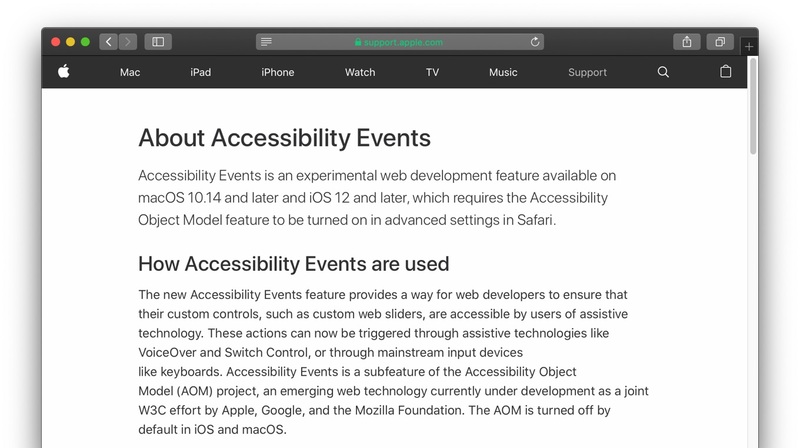 Apple、Safariで実験的に導入しているAccessibility Eventsの「Accessibility Object Model」とプライバシーについて説明。 | AAPL Ch. The new Accessibility Events feature provides a way for web developers to ensure that their custom controls, such as custom web sliders, are accessible by users of assistive technology. 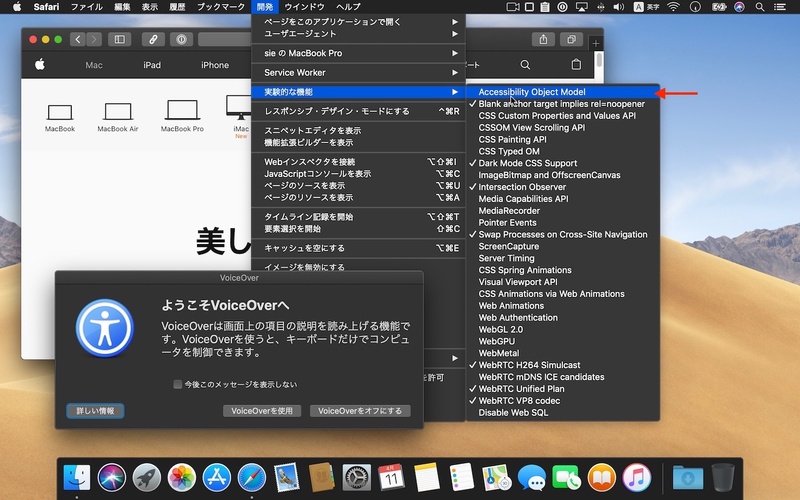 These actions can now be triggered through assistive technologies like VoiceOver and Switch Control, or through mainstream input devices like keyboards.